Healthcare is not a one-size-fits-all industry. Patient needs, medical conditions, and treatments can run the gamut. Prescription and care coverage – and cost – must be managed closely. HPC is a Specialty Pharmacy provider that can make a difference in your members’ health care, and a difference to your bottom line. HPC is a complete system of care for individuals experiencing medical conditions including Crohn’s, Hemophilia, Hepatitis C, and Multiple Sclerosis. Our personal care teams include knowledgeable specialists – pharmacists, home-based nurses, community and social services professionals – who provide skilled clinical and administrative support to patients who are dealing with the variety of diseases that HPC provides care for. These experts serve as vital resources who communicate and collaborate regularly with the patients’ medical teams for ongoing care planning, pharmacy services, and monitoring to ensure that patients’ specialty medications are working and that they are adhering to their treatment therapies. How does this reduce your costs? Ongoing collaboration and proper adherence is significant for effective cost management. It enables patients to gain control of their medical conditions, reducing symptoms and condition flare ups. HPC is a specialty pharmacy that has been dedicated to treating patients with chronic disease states since 2002. 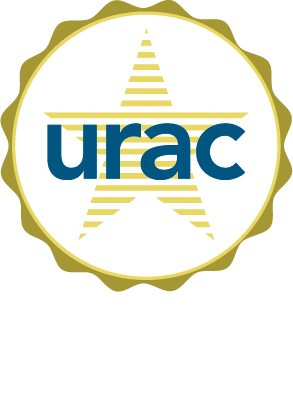 HPC is accredited with CHAP and URAC Specialty Pharmacy Accreditation, and meets the highest quality standards in the specialty pharmacy industry. Through rigorous standards and procedures, HPC ensures the professionalism, credentials, and quality of our services and staff who utilize specialty pharmacy evidence-based practices.